Eight out of every ten men and women in India identify as Hindu. But did you know that an estimated 2.3 million Hindus live in the United States? 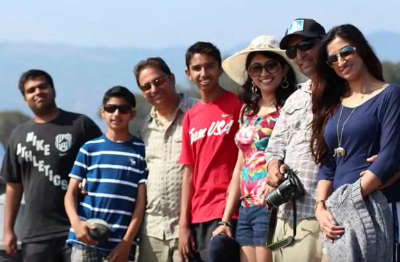 Pastor Joel Kant has made evangelism to Hindus paramount as he serves Bellflower Church of God in the heart of the Los Angeles metro area. He’s passing along the baton of faith to anyone who will listen, all because one missionary took the chance on his grandfather in India many years ago. Leaving his secular job in 1985, Joel entered full-time ministry in India and witnessed divine healing, multitudes come to Christ, and the establishment of several new works. Over the past six years, Joel’s evangelism through Bellflower Church of God in Bellflower, California, has produced similar fruit. The city of Bellflower, California, is situated next to the city of Artesia, home to a relatively high concentration of Americans of Indian descent. In fact, one of the big tourist attractions is a part of the city known as Little India. Indian grocery stores, restaurants, and a variety of Indian shops dot the landscape. Pastor Joel saw the potential kingdom impact in that region and, ever since, has taken groups from church to distribute tracts and share their hope in Christ. Though the use of tracts today may not be as prevalent as it once was, it has proved an indispensable evangelism aid for reaching Hindus in southern California. “Some receive it positively, and others may not, but we leave the results in the hands of God,” Joel explains. “There was a staunch Hindu who saw a piece of torn paper lying on the ground as he was walking along the street. He bent down and picked it up and began reading it. It was one of our gospel tracts! In a few minutes, the Holy Spirit used the tract to convince him that Jesus is the only true living God.” Since then, his wife, their children, and the spouses of their children have come to accept Jesus Christ as Savior and Lord. Now this family is actively involved at Bellflower Church of God. That man was convinced that Jesus was the only true living God. This is significant because Hindus generally do not believe in a single, authoritative deity. 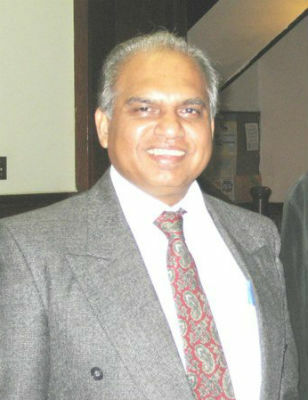 Pastor Joel writes that “Hindus have a saying—Ekam sataha vipraha bahudha vadanti—which may be translated as, ‘The truth is one, but different sages call it by different names.’” Joel explains that Hinduism “accepts various ideas of God and cannot define a true saving relationship with the God of heaven and Creator of us all.” These and other major differences require believers to be thoroughly prepared when witnessing to Hindus. Joel stresses the need for sound apologetics, including a thorough knowledge of what Hindus believe about Christ. 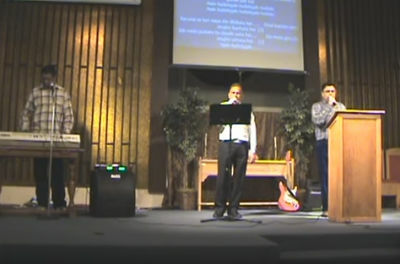 Photo: Worship team leads praise songs in Hindi. Such a readiness to give an answer for the hope that Pastor Joel has was evident when, a few months ago, he encountered a man with a Sikh background, a belief system similar to Hinduism. Joel asked him what he believed about God. The man’s reply was that Sikhism says that God is Sabda, translated Word. He told Joel that Satnam (True Name) is going to come and that he alone is truth. Drawing the parallel, Joel explained several passages from the gospel of John that identify Jesus Christ as the Word; as the Way, the Truth, and the Life; and the one who could set him free. Joel told this man that Jesus is the Satnam and, as a result, Joel led this man to the Lord. Not only does Pastor Joel make special trips to Little India to spread the gospel, but also he exemplifies the art of integrating witness into everyday life. Invited to a recent housewarming party for an Indian family that attends Bellflower Church of God, Pastor Joel Kant did not check his faith at the door. Multiple Hindu friends were invited to the event, and Joel saw his opportunity to share the gospel. At the party, intrigued guests listened to Joel’s impassioned words about Christ. Boldly, Joel concluded his words with an invitation to accept Christ. A few of those friends did just that! This entry was posted in All Church of God, Western and tagged apologetics, Artesia, Bellflower, California, evangelism, global, gospel, Hindi, Hindu, Hinduism, India, Joel Kant, multicultural, religions, witness, world. Bookmark the permalink.